The end of September is always a very busy time of year. As the summer heat fades, the Autumn / Fall terms kick-in, holidays end and (unless you’re part of the southern hemisphere) the world breathes a sad goodbye to fun in the sun. 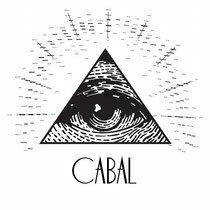 What better time then to shine a ray of optimistic light into the eardrums of the earth than with Cabal, a brand new record label whose anarchic scheme is to truffle out the very best in all things tech-house and keep the good times rolling! Inaugural honours are being handled by fast-emerging Argentine, John Gham, whose relocation to Berlin provided invaluable experience in the development of his unique sound. ‘Shake The Flip’ offers a contemporary take on the twisted U.S. deep-house scene of the ‘90s, whilst ‘Valentino’ channels a more ethereal melody over a chunky, techno mid-line. Check them both out on the Soundcloud link below.